Regular roof cleaning and inspections are critical for maintenance of any roof. Read on to learn how to ensure you are keeping up with a robust preventative maintenance program, how to inspect your roof, and how to clean your roof – whatever its material. Roofing professionals recommend establishing a regular preventative maintenance program for your roof. This should consist of roof cleaning and inspections twice a year, ideally in the spring and autumn. A robust roof maintenance program can help preserve the longevity of your roof and keep significant issues to a minimum. Regular roof inspections are critical for ensuring potential issues are identified before they reach a crisis point. This not only helps prevent catastrophes but also affords homeowners the time to incorporate any necessary expenses into their budgets. It also allows more time to file and process any essential warranty claims before repairs. Regular roof cleaning can help preserve your home’s aesthetic and resale value. More importantly, it also minimizes the risk of any damage to your roof or voiding of its warranty. Dirt, sap, and other debris on your roof can result in more than just a cosmetic issue. The accumulation of such organic material promotes the growth of moss or lichen. 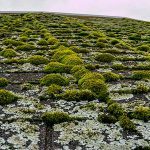 Moss and lichen both retain moisture that can severely damage your roof. 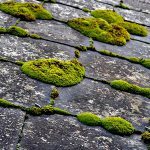 Unchecked moss growth may void some roofs’ warranties and even your homeowner’s insurance, making it even more problematic. 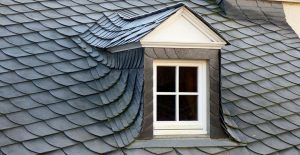 Whether it is feasible or not for a homeowner to get up on the roof to conduct an inspection will depend on the type of roof and level of comfort of the homeowner. 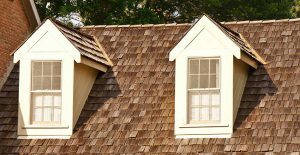 Steep-slope roofs, especially those with delicate shingles, are highly susceptible to damage caused by improper weight distribution. Avoid walking on such roofs when possible. When using ladders on steep-slope shingle roofs, match the pitch of the ladder to that of the roof. This will distribute weight evenly and minimize the chance of accidental damage. If regular inspections at roof level are not viable, homeowners can conduct visual inspections from the ground using binoculars. Clean your roof by removing any debris and dirt that may have accumulated from valleys, snow guards, gutters, and the area behind the chimney. Use heavy rubber gloves to scoop up materials in areas you can safely reach. Use a vinyl rake to clear areas you can’t reach. 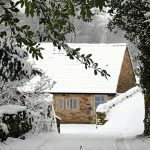 Take note of any overhanging tree branches and trim them away from the roof. Remove moss, mold, mildew, and algae with a safe, gentle cleaning product compatible with your roof like Wet & Forget Outdoor Hose End. Connect the hose end sprayer to your garden hose and attach the jet-setting tip. Turn the dial to the ‘ON’ setting and saturate the affected area with the diluted Wet & Forget at a time that allows the surface 4 to 5 hours to dry before the threat of rain. Walk away, and let Wet & Forget annihilate the moss, mold, mildew and algae. Re-treat once a year, or at the first sign of re-growth. 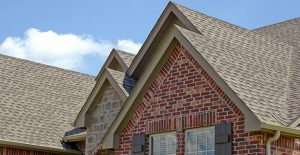 Asphalt shingle roofs are the most common type of residential roofs in the United States. They are known for being low-maintenance, and the maintenance program outlined above should be sufficient to care for them. While no additional steps are needed, it is important to remember to avoid pressure washing asphalt shingle roofs. High pressure can severely damage shingles. It is also advisable to avoid using harsh products like bleach that could discolor or prematurely degrade the shingles. Be sure to keep an eye out for granules from your asphalt shingles collecting in gutters. While this is common on new roofs, it could indicate an older roof is nearing the end of its lifespan. Cleaning tiles with harsh chemicals and pressure washers can erode tile coatings and paint. Roof cleaning in such abrasive ways makes it necessary to re-coat the seal and paint to protect the roof from dirt and moss infestation. Avoid using such measures when possible. Tiles are also very fragile and can crack easily under pressure. It is important to avoid walking on tile roofs. If it is necessary to be on your tile roof, use plywood with a foam treatment on its underside. This will lessen the pressure and distribute your weight. Tiles may take on efflorescence (a whitish, chalk-like covering) as they dry. This is a result of salts crystallizing as water evaporates. Higher levels of humidity slow the evaporation of water which allows the salts to crystallize into efflorescence. Efflorescence does not damage tiles but will dull them. To remove efflorescence, add buffing your dry roof with a clean and dry cloth rug to your regular roof cleaning and maintenance program. Maintain wood shakes and shingles with care. Improper roof cleaning practices can easily damage wood shakes and shingles. It is important to avoid pressure washing your wood roof. Pressure washing can cause wood shakes and shingles to lift or can trap water underneath them, causing leaks. It is also advisable to avoid using harsh chemicals like bleach or ammonia in wood roof cleaning. Such products may discolor paint and metal fixtures on your roof, and runoff may damage your garden and lawn. It is critical to ensure swift removal of any moss or lichen on your wood roof. 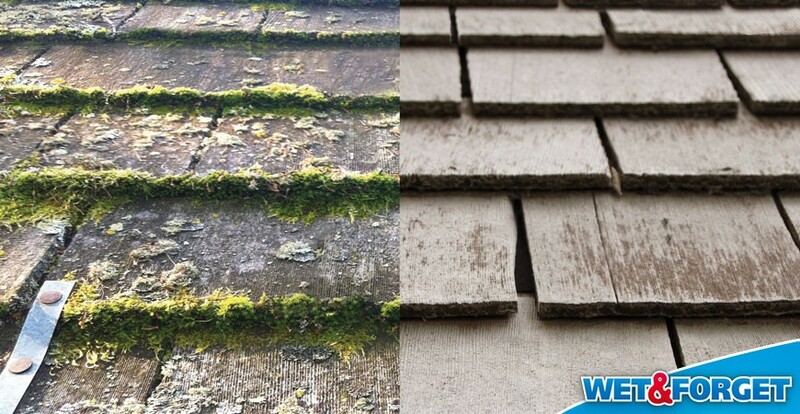 Moss growth on wood shingles or shakes has the potential to void your roof’s warranty. 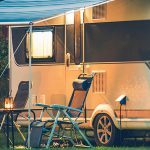 Add trimming back any branches hanging over your roof to your regular maintenance schedule. This will minimize the accumulation of debris on your roof and will help to prevent the growth of moss. Cedar shake roofs have special needs different to that of other wood shingles but are similar in their cleaning and maintenance needs. The Cedar Shake & Shingle Bureau recommends ensuring overhanging branches are kept trimmed away from cedar roofs to prevent debris and moisture buildup. It is critical to keep cedar clean to allow it to breathe. Clean gutters and downspouts during your biannual inspections and cleaning. Ventilation is crucial to keeping your cedar roof in good shape. Ensure that areas with louvers, ridge vents, roof vents, and soffit vents are clear and free of any blockage. Avoid pressure washing your cedar roof. Pressure washing should only be done by a trained professional in cases of extreme moss and debris build up. Avoid products like bleach and ammonia, as they may discolor or prematurely weather cedar shakes. 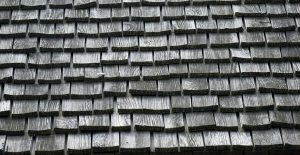 Slate shingles are a beautiful material for roofing but are delicate and costly to replace. Regular roof cleaning is critical for your roof, as slate is easy to cleave and water absorbent. Buildup of moss and debris on slate roofs hold moisture in the slates that can split them during winter. When cleaning a slate roof, don’t use chemicals like ammonia or chlorine bleach. 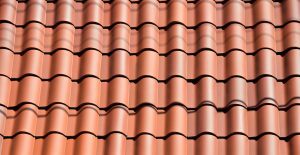 Such harsh chemicals are incompatible with the copper components of your slate roof. They can turn your copper prematurely black or discolor a beautiful verdigris patina. It is also important to never pressure wash your slate roof or even use too strong a blast from a garden hose. Pressure washing can break apart slates or drive water up under slates and cause leaks. 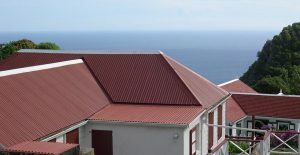 Metal roofing is durable, but it is vulnerable to rust and corrosion. It is also important to prevent different types of metal from touching one another. Chemical reactions between metals can damage or discolor the metal. Ensure your metal roof is kept clean and well maintained by using products that are safe for the type of metal your roof is made of, and look out for any areas that have begun to rust or corrode during your inspections. At the end of the day, the most important thing for any roof is to inspect and clean it of any visible debris or growth twice a year. Roof cleaning can be made easier with a once a year, no-fuss application of Wet & Forget Outdoor Hose End. It is safe to use on virtually any type of roof and will help to keep your roof free of moss, mold, mildew, and algae all year long. To find a Wet & Forget retailer near you, click here.